A recent order from the German Federal Highway Research Institute (BASt) means that AB Dynamics can now list all seven of the official EuroNCAP laboratories as customers. 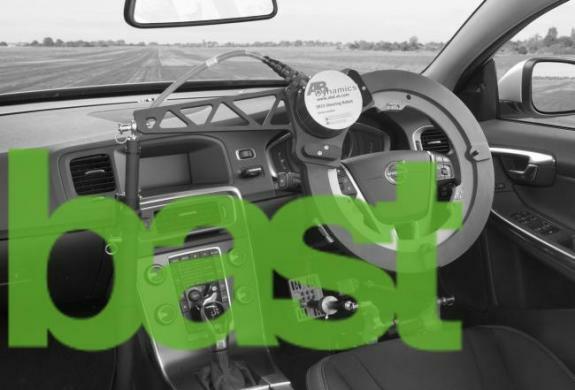 Having previously used driving robots from another supplier, BASt has now chosen AB Dynamics' SR15 steering robot and CBAR pedal robot to enable it to perform the EuroNCAP tests for AEB (autonomous emergency braking) and LSS (lane support systems; comprising Lane Departure Warning and Lane Keep Assist technology). AB Dynamics has already supplied driving robots to the other six EuroNCAP labs (Idiada, Thatcham, UTAC-CERAM, TNO, ADAC and CSI-spa), so to complete the set with the order from BASt is a great endorsement of our products. The SR15 and CBAR have been carefully designed for easy installation, reliability and class-leading accuracy. The Robot Controller software includes special test groups for the various EuroNCAP tests to make it easier for customers to perform these tests according to the official protocols. In addition to EuroNCAP, AB Dynamics has also supplied driving robots to NHTSA in the USA, Transport Canada and labs belonging to JNCAP in Japan, KNCAP in Korea and CNCAP in China.